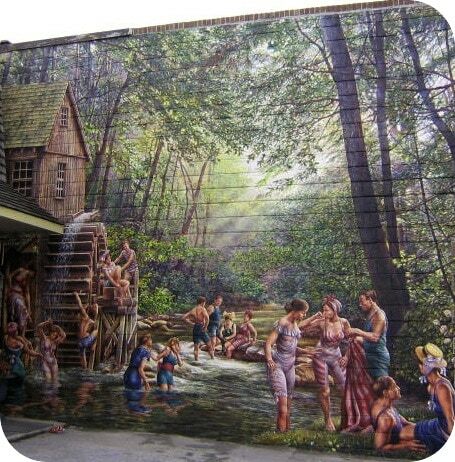 This is an artist’s conception of the old swimming hole once located on Willow Dale Farm and a fanciful look at the swimwear of earlier times. The mill pond was below what was once a functioning sawmill on Mimico Creek, likely near the little parkette at Burnhamthorpe Road and Burnhamthorpe Park Boulevard, on property now owned by Islington Golf Club. Although there are no known photos of the sawmill, historical interpreters suggest it would have been a wooden structure no more than two stories tall and powered by a water wheel.